Pigeon Frame | Pigeon - a brilliant digital photo sharing device. 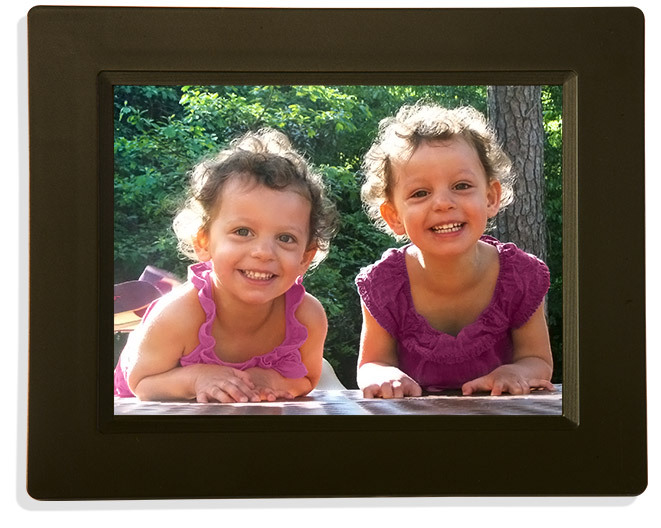 A modern digital photo frame - that's easy to use. Perfect for grandparents! 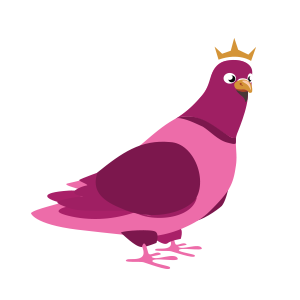 Send photos and videos directly from your mobile device to a Pigeon Picture Frame anywhere in the world! It's the next best thing to being there in person. Enjoy automatic and secure sharing with our user friendly Pigeon mobile app. 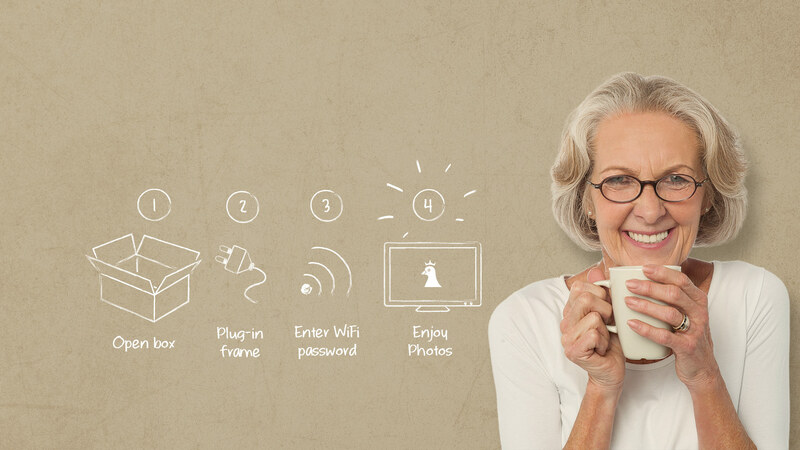 Built to be ready to go out of the box, Pigeon enables simplified sharing between families. 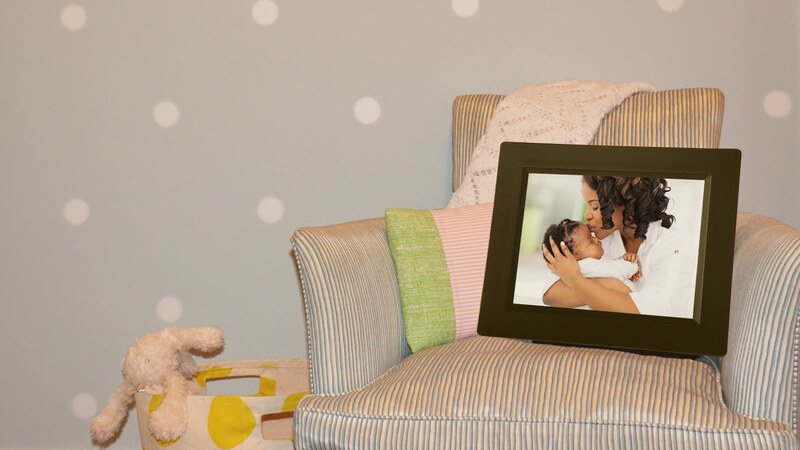 Designed with noteworthy features this Pigeon digital photo frame has everything you could ask for in a modern picture frame. 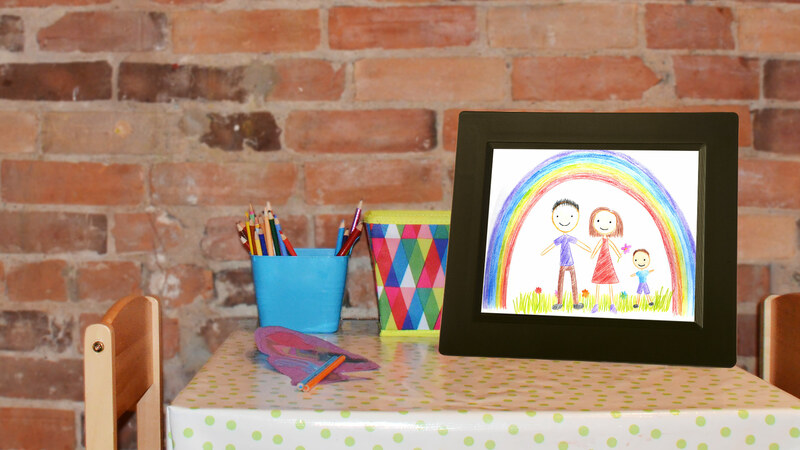 It features a 10″ Screen, Photo and Video Display, 2W Speakers, Motion Sensors, WiFi Enabled, Software Updates. It is also Flock Friendly! Make your Grandparents happy when you can’t be there! Available for Android and iOS mobile devices. 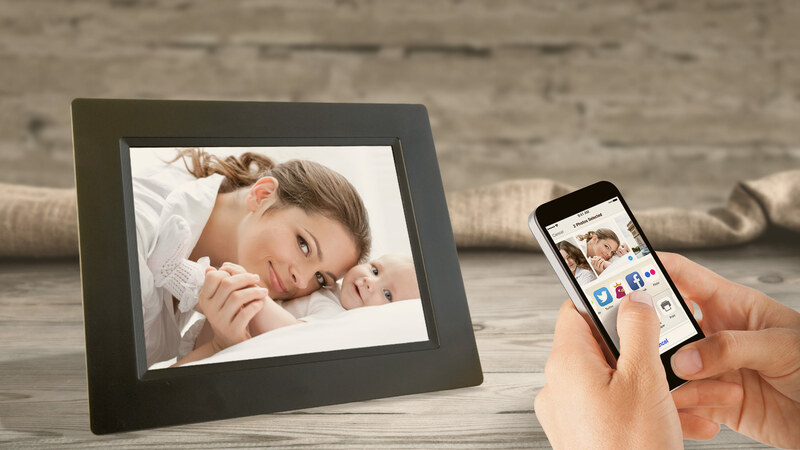 The Pigeon Picture Frame receives photos and videos from a linked Android* or iOS mobile device using The Pigeon App. The Pigeon App is made for iOS 8 and above, iPhone 5 and above, 4th Gen iPad and above, 5th Gen iPod Touch and above, as well as Android 4.1 and above. *There is no video support on Android at this time. Sign up here for insider access and updates on our newest model – “Winkie”! Need your Pigeon to be a present right now? We’ve got you covered! 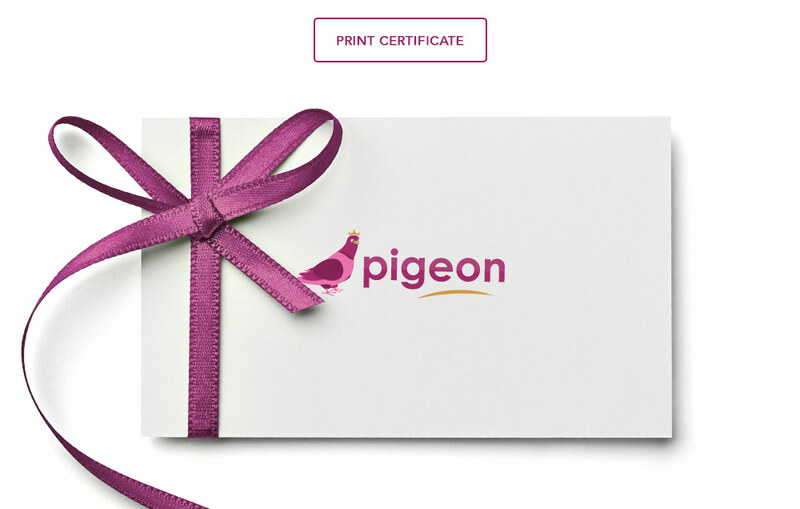 Once you’ve finished your order for your Pigeon Picture Frame, print out this Gift Certificate and you’ll be set!